Lily O’Connell nearly lost her life to meningococcal disease. She also received a kidney transplant from her sister. Australia's peak science body is urging parents across the country to make sure their children are vaccinated against meningococcal disease, after a recent spike in cases in Adelaide and the death of a seven-year-old boy in southwest Sydney. The deadly disease is preventable but if all strains are not vaccinated against, it can cause serious harm. Many people don't survive and those who do can be left with permanent disabilities. Spring is a peak time for the disease. Babies and children up to the age of five, as well as those aged 15 to 24 years, are among the most vulnerable. People with suppressed immune systems, smokers and those living in crowded accommodation are also at greater risk, according to the Australian Academy of Science. The organisation of Australia's top research scientists has joined with the Australian Department of Health to launch a new video campaign this week to educate and warn about the dangers of meningococcal. It comes after a spike in cases across Australia, with medical professionals worried about a surge in certain meningococcal strains. 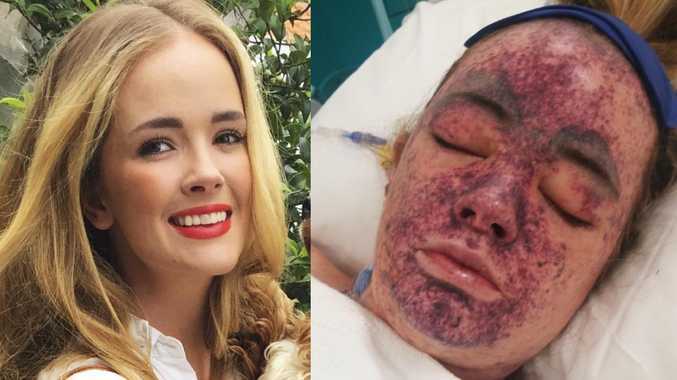 Sydney woman Lily O'Connell contracted the disease around Christmas last year. She thought she had fallen ill with the flu and was shocked when doctors later told her she could have been dead within 30 minutes if she'd ignored her symptoms. There are very few bacteria that can kill someone in hours, but this is one of them. Central Coast woman Sarah Joyce was 30 when she contracted the disease more than two years ago. It almost killed her and saw her lose four organs and go through multiple amputations. 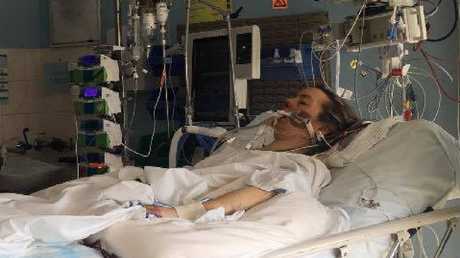 Sarah Joyce on life support in Gosford Hospital after she was struck down by meningococcal disease. "I felt a bit off and assumed I had a head cold. I went to my parent's house for dinner and within hours I was vomiting and burning up with fevers reaching 41 degrees," she told news.com.au in July. 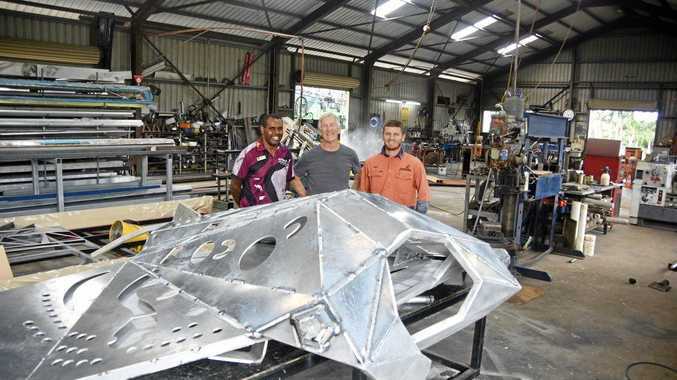 "I couldn't look at light and had very severe headaches. My face was also very swollen and I had a pin prick rash around my eyelids and my neck also hurt." There are five common strains of meningococcal disease in Australia - A, B, C, W and Y - with an increase in cases over the last few years, said Professor Robert Booy from the National Centre for Immunisation Research at the University of Sydney, who features in the campaign. "We had a surge in W (strain) leading to nearly 150 cases last year and a surge in Y (strain) leading to 75 cases last year," he said in a statement. The videos produced by the campaign feature the stories of meningococcal disease survivors including Eliza Ault-Connell, who became an amputee after contracting meningococcal disease when she was 16. She is now the director of Meningococcal Australia. "When you consider my case - I was in an intensive care unit for 110 days and had over 60 operations - the financial burden of the diseases is so great. When we look at the cost of a vaccination, it's safe and effective; I can only see prevention as being better than cure," she said. Different states offer free vaccination programs for certain strains and age groups. In Queensland and New South Wales, babies should receive their first meningococcal vaccine at 12 months, and again during their teenage years. The vaccine protects against the A, C, W and Y strains but not the C or B strains. A separate vaccine is available for the B strain but is not part of the routine free immunisation schedule. South Australian toddler Charlie Mason died at just 16 months after contracting meningococcal B in 2016. In 2017, 18-month-old Mason Harvey Marks died from the same strain. He was also from South Australia. Later that same year, Northern Territory toddler Skylar Lawrence also died from the same strain hours after she was rushed to hospital.